It’s Saturday morning and your hubby has agreed to watch the kiddos so you can get your grocery shopping done. Alone and quietly, how nice! You head out to the store but as you pull into the parking lot you realize you left your reusable bags at home. Again. Or maybe you did remember to throw them in the car before you left, but when you go to check out you discover that they are still in the car. It’s happened to us all; probably more then we care to admit. At some point, we all suffer from Bagnesia! Finally, there is a cure for our forgetfulness! The lovely ladies over at Bagnesia came up with this awesome idea – a kit to remind you to bring your bags with you! "The Bagnesia reminder kit contains simple, effective, products that work together so you never forget to take your reusable bags into the store again!" Each kit includes a nylon reusable bag, door hanger, steering wheel wrap, wrist lanyard key chain and a carabineer clip. I had the pleasure of trying out one of these kits, and boy it really did help me! I’ve been known to leave my bags in my basement as I am hurrying out the door. This past week I had been running around like a mad woman getting ready for William’s 4th birthday party. Thanks to this kit, not once did I forget my bags! The first line of defense for me is the door hangar. My bags are almost always on the bench in the basement that is right by the door to the garage. So I put my door hanger right there and this helped me to actually get the bags in the car. The second part is the steering wheel wrap. Since it is right in front of my face while I am driving, it is a constant reminder to bring my bags into the store. For the first time in a very long time I even remembered to bring them into Walmart. Yay me! The kit also comes with a wrist lanyard key chain and a carabineer clip, which are pretty darn cool. The lanyard key chain is a bright blue so it stands out and serves as another reminder to bring your bags. I’ve been using the same carabineer clip on my keys for a good 5 years, so it was pretty beat up. It was great to get a shiny new one that is certified lead-free. 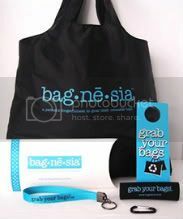 "Bagnesia’s compact reusable bag is made from lightweight washable nylon. When unfolded, it measures 18" X 16", will hold up to 40 lbs (comparable to 2-3 plastic shopping bags) and is water resistant. Smaller than most cell phones, when rolled up and closed with the attached elastic band, it measures just 4" X 2" and fits great into small spaces." So I have to say that this kit is really cool and effective. My door hangar and wheel wrap will stay up permanently since they are really helping me remember my bags. Thanks to Bagnesia, I should never forget them again. Visit the Bagnesia online store to order your own kit and be sure to take a look at some of their other eco-friendly products. For any order you place, enter "greenmama" into the comments and they will add a free produce bag! I learned that an Urban Tumbleweed is litter!!! 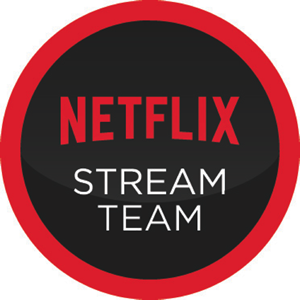 That is kinda cool, I mean its bad of course but the name is kinda cool. Bad litter...BAD!!! I learned that over 100,000 marine animals die each year from plastic bags. I knew that a lot did, but never realized how high the number was. I just faved you on Technorati-MommaStaciA. I really like the Stainless Steel water bottle they also sell on their site. It has a dual cap system and you can put ice in the larger cap to keep your liquid cold. It also opens on the larger bottom for easy cleaning. What a VERY cool product! I'd love a set! • Marine Life. Over 100,000 marine animals are killed each year from plastic bags. Sea turtles, water birds, and other creatures mistake them for food or become entangled in them. In some parts of the ocean, there are six pounds of plastic for every pound of plankton. I think this is a great kit!! I learned that in modern landfills nothing completely degrades due to lack of water, light, oxygen and other necessary degradation elements. Wow!! This is awesome! I am constantly forgetting my bags at home! This is perfect! If I don't win, I'll probably be heading over to purchase a few things (if someone reminds me). I love their thermal insulated bag. It would be perfect for those longer trips to Whole Foods! Use reusable bags people!! I read somewhere that 5 billion to 1 trillion plastic bags are consumed annually around the world!!! We need to STOP! Did you know that reusable bags make great laundry sorting bags for business travellers. I love when my husband unpacks his suitcase and hands me one reusable bag full of lighs and another with darks. Makes life just a little bit easier. some stores offer discounts for using reusable bags!! These bags can be used for other things besides groceries. Luandry bags are just one example. The Bagnesia bags roll up to the size of a cell phone! Some stores offer a discount for people using reusable bags. Man, I've been wanting one! You can use the bags for more than grocery shopping. And we do! We use reusable bags for going to the park, the library, etc. My husband needs the bagnesia! This is totally me - I forget ALL.THE.TIME. I had no idea about production cost and never thought about the non-renewable resources that can cost money over time. This site is buddies with dogma!!! i love dogma bags!!! We may think we’ve thrown out a plastic bag but many of them may blow out of trash cans and become litter. Some are carelessly tossed aside causing urban tumbleweed. Over 100,000 marine animals are killed each year from plastic bags.. They have produce bags - awesome!!! I've been looking for these, and they are very reasonably priced! Over 100,000 marine animals are killed each year from plastic bags. Sad. i did not know some stores would offer discounts if you use reusable bags. Over 100,000 marine animals are killed each year from plastic bags. Bagnesia has the right idea. Wow, I learned that they figure 100 billion plastic bags are used per year. Unreal, why do they still make them. I know why, because people like me have Bagnesia and unfortunately need something to carry the groceries home. I honestly try hard to remember my bags, I have done everything but my Bagnesia appears to be a really severe case. Help!!! I cant beleive it...I found this site bagnesia a year ago and then lost their link... I am so happy to find yoru review.. I love them! You really covered everything... I love the fact that "it’s quicker to load your car with a few reusables, than with numerous plastic floppy sloppy bags. It’s also more efficient to carry a few sturdy reusable bags home. Just throw them over your shoulder!" I followed you now on blogger! The enviro-friendly solution package is $55. I love the produce bags on this site. I have some cotton ones, but they're a pain to clean. I seriously need this kit. I have a bunch of bags in the door of my van and sometimes (if I remember) carry a few in my purse or diaper bag and I'll still forget! Their produce bags are some of the least expensive I've seen! I learned that it takes more than four times as much energy to manufacture a paper bag as it does to manufacture a plastic bag. Another great reason to take your own bags with you to the store! The Stainless Steel Water Bottle is BPA free and lightweight! Using even one less plastic bag CAN make a difference in the future of our world, starting today. I learned that it takes more than four times as much energy to manufacture a paper bag as it does to manufacture a plastic bag. Plastic bags are light, and can blow in the wind. They fly into trees and into wildlife habitat. Animals can consume these plastics, and perish. Plastic bags are a deadly killer to wildlife. This is really cool, I love the look of the bags & the reminder is such a great idea. That is my biggest thing, forgetting my bags! I'd love to get their Insulated Thermal Bag for frozen foods! What a great giveaway. Reusable bags can be used for tasks beyond grocery shopping. Flea markets, beach bags, fitness bags, ect. - the options are endless. Wow, 100 billion plastic bags used in the US a year. Over 100k animals are killed each year due to plastic bags - that is awful! lots of marine animals die each year from plastic bags. these bags scrunch up super small!! I love that! This makes me so sad : "Marine Life. Over 100,000 marine animals are killed each year from plastic bags. Sea turtles, water birds, and other creatures mistake them for food or become entangled in them. In some parts of the ocean, there are six pounds of plastic for every pound of plankton." i subscribed to your feed via google reader. the envirofacts on the bagnesia site were so disturbing! i know plastic/paper bags aren't environmentally sound but the details and statistics are horrifying! i always use cloth bags for shopping, keeping 1 or 2 in my purse at all times. thanks for your site! i really like the produce bags!! What a great product!! One thing that I learned that you didn't mention is Over 100,000 marine animals are killed each year from plastic bags. - Wow! I could use some of their produce bags. Not a bad price $6.00 for 4 of them. I can always use those. Thank you! Many stores offer shoppers discounts and program points for bagging with reusables. Your bag can pay for itself if just a few trips to the supermarket. Many stores offer shoppers discounts and program points for bagging with reusables. I love Caprice's quote "Have Faith ,Tides Change" that is great! I have your button too ! I didn't know the sheer number of animals that die each year from plastic bags. Let's all get a green footprint! Plastic bags consume more energy than plstic! I subscribed in a reader. Thank you. I am going to remember to bring in my reusable bags! I learned from the site that Stainless Steel Water Bottle is BPA free, that is great!